Do you want a life-changing supplement? ðŸ¤¦â€�â™€ï¸�Acne? Look at your gut health. ðŸ˜±Mood issues? Look at your gut health. ðŸ˜¯Autoimmune conditions? Look at your gut health. Frequent colds/flu? Look at your gut health! ~helps maintain normal intestinal function for overall support of a healthy immune system. With around 80% of our immune system located in our "gut", it is so important to have it in tip-top shape! Our "gut" is a complex system, however one way to simplify taking care of it is to supply it with a quality probiotic so that you have extra "helpers" working to create that balance! Life 9 probiotic from Young Living is like none other on the market! This stellar product from YL is definitely one to have in your arsenal for optimal wellness. 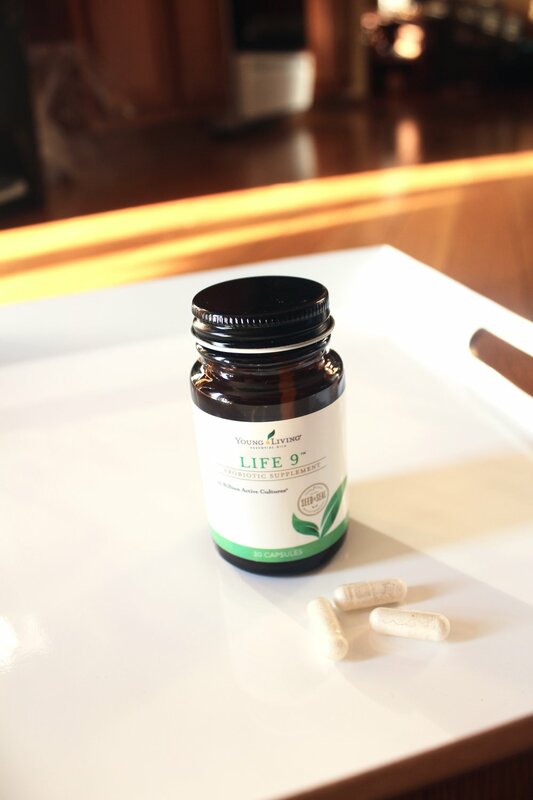 Life 9 takes the science behind the best-seller Life 5 supplement and raises it to another level. It has 4 more active probiotic strains than the previous formula. It contains 17 billion live cultures from 9 beneficial bacteria strains that promotes healthy digestion, supports gut health, and helps maintain normal intestinal function for overall support of a healthy immune system. Probiotics are bacteria that line your digestive tract and support your body's ability to absorb nutrients and fight infection. You have 10 times more probiotics in your gut than cells in your body! Probiotics support immune function and healthy digestion. Did you know that 80% of your immune system is located in your gut? Also our digestive system is the second largest part of our neurological system. That is why the gut is called our second brain. Your digestive system affects every physiological system in your body, even your mental and emotional health. When a child is born, they already have probiotics in their system, because they are exposed to their mother's bacteria during the time of delivery. This starts a chain of events that causes the infant's GI tract to begin producing good bacteria. Unfortunately as time goes on, the balance of good bacteria to bad bacteria can be thrown off by things such as using prescription meds, especially antibiotics, as well as high carbohydrate diets, drinking chlorinated or fluoridated water and consuming non-organic meats and dairy products that contain antibiotic residues. High sugar intake, eating GMO foods and grains, emotional stress and exposure to chemicals can also throw the gut flora balance off. The way to fix this is to consume probiotic-rich foods and supplements. Since more than 40 diseases have been linked to bacterial imbalance, we can choose to be proactive and supplement our diets with Life 9 probiotics to keep our gut healthy. **Important so your probiotic makes it past all the harsh stomach acid and gets to the intestine. Don't skip taking probiotics daily and don't settle for common brands from the store that only have ONE strain or bacteria and a low colony count.